Bridge’s M-STEP database shows how individual elementary and middle schools performed on the test, and then compares that performance with schools across Michigan with a similar socioeconomic profile. Poverty levels are considered a critical (though not sole) factor in academic success. Bridge measures poverty levels by the percentage of students eligible for a free or reduced-priced lunch under federal guidelines. Wasn't the MEAP dumbed down and the M-Step matches the national standards? Since Michigan kids score in the bottom 3rd nationally, at least the test is comparable to other states that many have less resources, lower paid teachers (adjusted for COL differences). Also, MA has made great improvements on the M-Step (NAPE) test as a state. Maybe Michigan should be looking at their model. 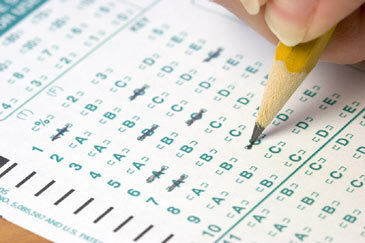 Until they stop making kids take the ACT to get into colleges, testing is here to stay. It is better to not be surprised when you are in the 11th grade that your kids does not have the credentials to get into college. Ongoing formative assessment is also important!